Click here to read a brief FAQ about City Plan - what it is, who decides what goes in the plan, and more. If you have additional questions about City Plan, please ask them below! A member of the City Plan team will post a response to your question as soon as possible. Are there any plans for a public pool and/or community center in the quickly expanding SE part of town? 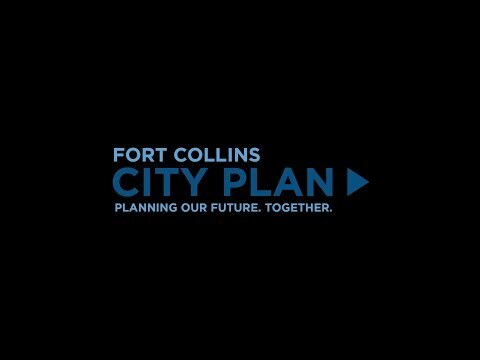 There are no immediate plans for a pool or community center in southeast Fort Collins, however, the lack of both types of facilities in south Fort Collins has previously been identified as a weakness in the community’s recreation system and an area to improve coverage and service. The City is getting ready to start an update to the Parks and Recreation Policy Plan in order to address topics such as coverage of facilities, accessibility, and funding for both new and existing facilities. You can learn more about the current Parks and Recreation Policy Plan and news on the next update by visiting the Park Planning and Development webpage: https://www.fcgov.com/parkplanning/plans-and-policies. As we purchase more and more green-energy is there is there a cost comparison to the the cost of the nonrenewable sources which we have used in the past? I would like to see how much the utilities cost to the city has increased or decreased over the past several years. "The renewable electricity resources serving Fort Collins have a range of pricing depending on their type, age and size. While they have in the past generally been at a premium cost, the overall rate impact of these renewable resources is approximately 3.0% (in 2019). New renewable resources that are planned in the next several years have a much smaller premium, if any, compared to resources from the last 20 years." Hopefully that answers your question! Let us know if you have additional questions, or if there is other information we can provide. Can we get location clarification on below- all the maps/images are fairly vague and do not show zoning. Removing regulatory barriers City Plan identifes numerous changes to zoning and development standards that will be needed to support desired housing types. The "big ideas" document I think you are referring to is fairly high-level - that's why you don't see zoning on the maps. We'll be releasing the Policy and Implementation section of the plan in about a week, where you'll see more specifics about the kinds of regulatory changes (zoning and development standards) that we're recommending. We'd be happy to provide a bit more context about any specific areas you are wondering about, so just respond to this message if you'd like clarification about possible changes in a particular neighborhood or part of the city. Before any changes are made to our zoning or land use code, we will be doing more outreach and engagement about some of the big ideas - particularly changes in residential zone districts. We know that people likely have lots of questions, and that each neighborhood is different. City Plan is a policy document and does not automatically change our land use regulations, so nothing will change with our zoning right away. We hope you’ll continue to be engaged and help shape those changes when we begin that effort. This is an idea from the 80s - a plan to consolidate the two ditches that run from the Poudre northwest of town and run in a parallel fashion towards the southeast to Fossil Reservoir. Think of the bike path that could then be built after the all the water is consolidated in one ditch with the remaining right of way used for biking. Is part of the plan to widen Vine along its entire length? Are there going to be changes in how Vine intersects with I25? Thank you for your question about Vine Dr. The current Master Street Plan (copies can be found at this link http://citydocs.fcgov.com/?dt=Master+Street+Plan+Map&dn=GIS+MAPS&vid=192&cmd=showdt) identifies Vine Drive as a 2 lane roadway, and the plan is to keep it as such. There is a new larger arterial road (4 lanes) being built just north of Vine, called Suniga. The plan has been for a long time that this new road would become the main east/west road feeding up to the northeast part of Fort Collins. In regards to the I-25 and Vine intersection, that will also remain as is, without direct connection from I-25 to Vine Dr. The bridge itself is likely to be rebuilt as part of the I-25 widening project, but the connection is planned to stay as currently configured. If you would like to discuss further please feel free to contact me anytime. Thank you for reaching out regarding information on future streets. Our Master Street Plan (copies can be found at this link http://citydocs.fcgov.com/?dt=Master+Street+Plan+Map&dn=GIS+MAPS&vid=192&cmd=showdt) shows future streets and alignments. During the City Plan process we will be reviewing and updating this map, but until then this remains the best resource for you to find out about future streets. If you would like to discuss further please feel free to contact me anytime. Where on this site can one apply to serve on a Working Group? Thank you. The working groups for City Plan have already been assembled, and the groups will begin meeting in the next few weeks. The groups are composed of City staff and technical experts in the community. Their role is primarily to advise the City Plan project management team and review public input received throughout the process. The working group meetings will be open to the public, and notes will be posted online after each working group meeting. If you have additional questions or need more information, email us anytime at cityplan@fcgov.com. Thanks for your question! Please note that the website is non-functional with certain browsers (such as Safari). Please make sure that, in order to be universally accessible, it should *not* depend on any sophisticated features, scripts and such. Such extensions may look "spiffy" but are generally are not robust. Thank you. Thanks for letting us know you're having some trouble accessing parts of the City Plan site. Can you tell us more about what isn't working for you? The City Plan website is compatible with all contemporary browsers: Internet Explorer, Firefox, Safari, Chrome, Opera, Android etc. However, there could particular features that aren't working and we want to make sure we can get them fixed. 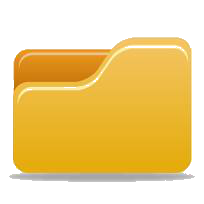 You can email cityplan@fcgov.com with more details or call 970-416-2283. Thanks! Are there any plans to update the Northside Neighborhood Plan (last update was 2005)? We are not included in the Mountain Vista Subarea Plan or the Old Town Neighborhoods Plan. With all the potential growth in this area of town, it seems like this plan should be updated so that the people in this area are properly represented. Thank you. There are no current plans to update the Northside Neighborhoods Plan in the next several years. Many of the community’s subarea and neighborhood plans are updated approximately every 20 years. Although not fully encompassing the entire area of the original Northside Neighborhoods Plan boundaries, recent efforts with the Downtown Plan and the Lincoln Corridor Plan reviewed areas within and near the neighborhoods and provide more recent policy guidance. 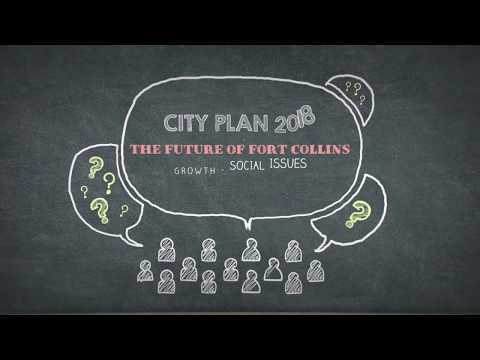 We anticipate there will be a lot of discussion about development and growth as part of City Plan, especially in northeast Fort Collins. If the community desires changes to the frameworks for land-use or transportation near the neighborhoods, that could trigger new policies and recommendations to begin an update of the Northside Neighborhoods plan sooner. I think your Facebook link on share your idea is broken. Update 9/6/2017: The link seems to be working fine now. If you are still noticing a problem, please email moverton@fcgov.com and we'll try to figure out what's going on. Thank you for letting us know! We've put in a request to get the Facebook "share" links updated and will post here when the issue has been fixed. The City Plan process will involve reviewing and assessing the entire Master Street Plan, including the alignment of Turnberry. We want to make sure we take a comprehensive look at the entire northeast part of Fort Collins and the current and future street network. We will gather as much input from the community as possible to understand impacts of any changes that may be proposed to the Master Street Plan. For more information about the Master Street Plan and to view current maps, visit https://www.fcgov.com/transportationplanning/msp.php. Thanks for your question! Where can I find the City Sidewalk prioritization list of the top 500 sections of sidewalks needing improvements? The City's Engineering Department is in the process of updating the prioritized list of sidewalk improvements this year. A list should be completed by the end of 2017. We're also working with the Larimer County Department of Health and Environment and FCMoves to incorporate new metrics and further improve the sidewalk prioritization model. If you have questions about a specific area or would like more details about how the City prioritizes sidewalk improvements, the best contact is the Engineering Department (970-221-6314).